Sinclair is an Authorized Agent of Boart Longyear, with specific responsibility for the US and Latin America Geothermal market. We can assist with the design and delivery of BLY’s superior line of surface core rigs, drill rod, tooling and other coring equipment. 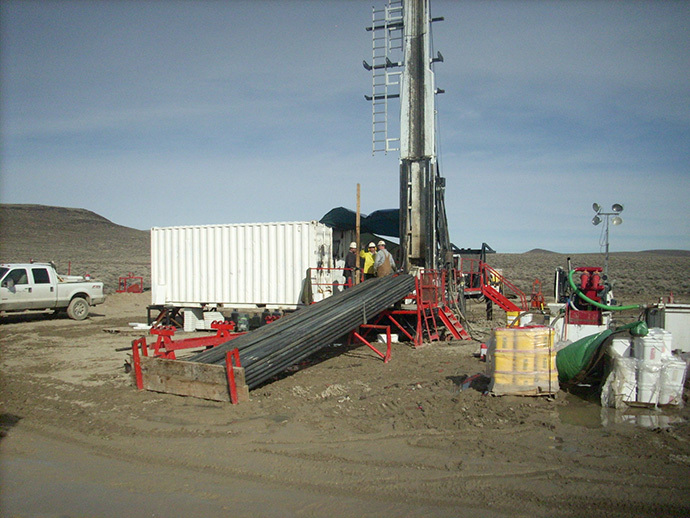 In addition, Sinclair can find virtually any specific equipment that may be required to support geothermal coring operations – portable mixing/storage tanks; solids removal equipment; sump/sludge pumps; alturnamats; liquid brines (KCl, NaCl, CaCl2, etc. ); core boxes; water swivels; tri-cone bits; miscellaneous support and processing equipment, etc. We appreciate the opportunity to provide Sinclair’s wealth of geothermal experience, in support of your exploratory coring projects. Please contact us directly if we may be of service.